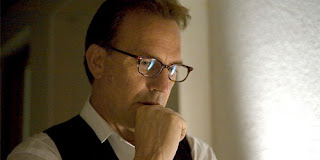 At a recent screening, a colleague responds with an are-you-kidding-me stare when I share my excitement for director Bruce Evans’ Kevin Costner thriller “Mr. Brooks.” I happily explain the reasons for my high anticipation without an ounce of guilt. It’s not enough that “Mr. Brooks” is the increasingly rare adult movie surrounded by an ever-growing pile of family-oriented blockbusters. Better yet, it’s also a suspense drama, a clever Jekyll and Hyde-inspired psycho-thriller co-written by Raynold Gideon (John Carpenter’s “Starman”) and Evans. “Mr. Brooks,” released by MGM, is playing in commercial theaters across America throughout June, or however long it can last against more popular summer blockbusters. New BBC Screenplay puts spotlight on Paul Andrew Williams, but will U.S. Audiences ever catch ‘London to Brighton’? No director has been announced for “The Choir.” Perhaps, Williams may get the nod. “London To Brighton,” one of my favorite films from last year’s Toronto Film Festival, shows Williams to be a talent worth celebrating. A woman’s tale about a middle-aged prostitute, Kelly (Lorraine Stanley in a standout performance), who befriends and protects an eleven-year-old runaway, Joanne (Georgia Groome, pictured left), “London To Brighton” has the energy and visual spark of the best British gangster films. What separates Williams’ debut feature from the crime genre pile is its substantial storytelling, believable grit, fully drawn characters and humanistic heft. “London To Brighton” has earned Williams comparisons to Mike Leigh, which after watching the film, is a celebratory but fair review. Currently, as far as U.S. audiences are concerned, “London To Brighton” has yet to break out of the film festival bubble and enjoy a full, theatrical release. Perhaps Williams’ BBC Films deal will help get “London To Brighton” into stateside theaters. It deserves to be seen.